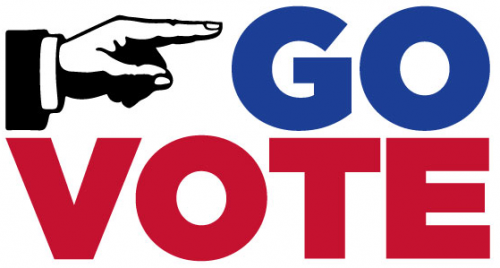 Today is election day, the polls are open from 7:00am and close at 8:00pm. Please vote and make your voice heard. All ballots must be received by 8:00pm, that includes mail in ballots. Other information about what is on the ballot or other voting related issues can be found here. http://www.votescount.com You can also call (831) 454-2060 Monday – Friday from 8:00am till 5:00pm with any election related questions. 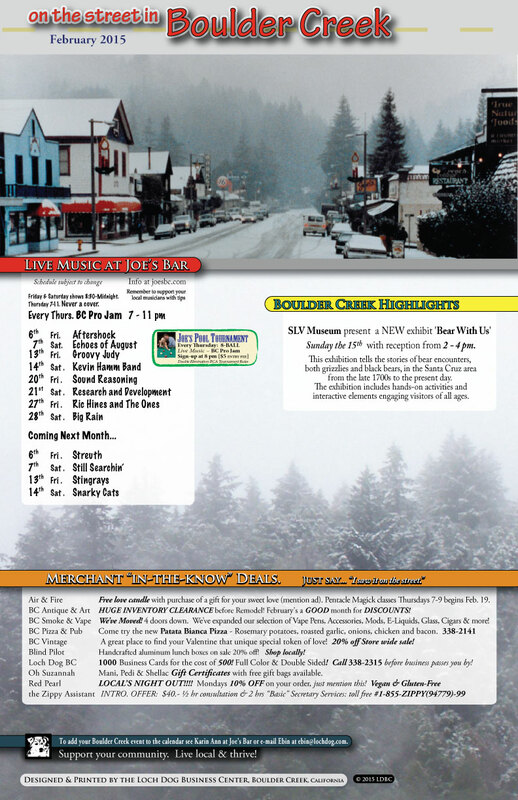 Links to voter’s pamphlet info, for, against, funding, campaign, background, and so on regarding all items on the ballet. This voter’s guide is meant to be non partisan and is in same order as the official ballot. On Friday 10/24 the San Lorenzo Valley Water District announced a special meeting for this Tuesday 10/28 at 2:00pm. The purpose of the meeting is to review applications of candidates for the open position of district manager. Like all public meetings oral communications are allowed from the general public and each person is allowed 3 minutes. If you have any questions for the board that you would like answered before the election this is your last chance to ask them. 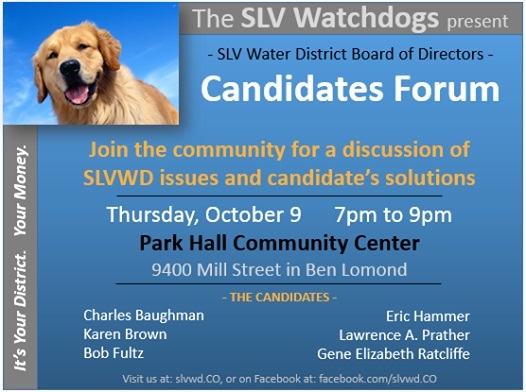 Tomorrow the SLV Watchdogs will be conducting a Candidates forum with all six candidates running for the San Lorenzo Valley Water District Board. Attend and ask your questions of the candidates in person at the Park Hall Community Center in Ben Lomond. After the forum the Watchdogs will be conducting an online Straw Poll and Voter Survey. 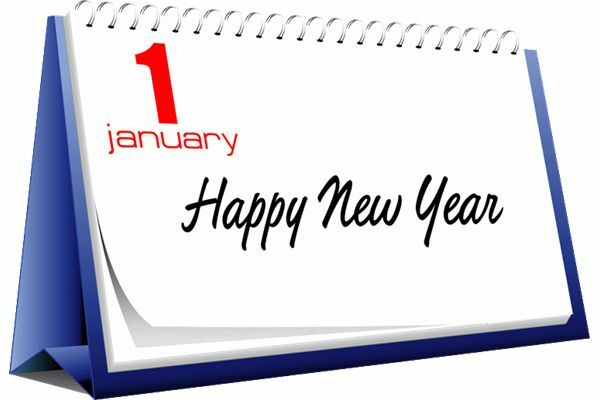 To keep up to date on what is going on and what the candidates are saying check out their website and Facebook page. You can also read the Grand Jury Report on our water district from June 2014. Which states that our current system is leaking 15% of its water, lists lots of wasted money, and so on. Not a pretty picture.